Whether it’s a promotion, a new baby, or simply a job well done, toast the occasion with our selection of crowd-pleasing congratulation gifts. Whether you’re celebrating a promotion, a job well done, a birthday, the arrival of a new baby, or simply wish to show your employees appreciation, our selection of congratulation gifts has a little something for everyone in your office. From indulgent pastry and cookie gift boxes and assorted loaf cakes to gourmet snack gift baskets, you’re sure to find a delicious way to mark the occasion with our premium assortment of congratulation gift boxes, baskets and gift sets. If you’d rather toast the special event with a bottle of bubbly, we offer a selection of world-class champagnes, including deluxe gift baskets featuring Moet & Chandon and Segura Viudas. 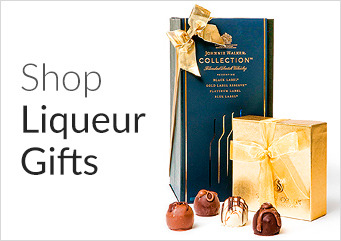 With gifts appropriate for a cherished staff member, a large corporate function, an important account or an esteemed client, you’ll find tasteful and elegant corporate gift ideas to celebrate any occasion at every price point. All-Purpose Celebration Gift: Our Golden Edibles Chocolate Congrats Covered BerryGram™ makes a delectable gift for nearly any special milestone – perfect for staff birthdays, promotions, office parties or other corporate events, this tantalizing gift features ripe strawberries dipped in Belgian chocolate with ‘Congrats’ spelled out. You can adjust the amount you need pending on your event, rendering this option both flexible and delicious! 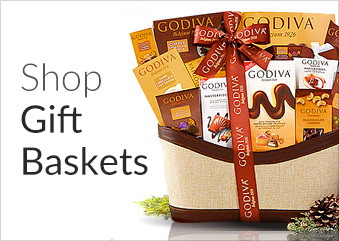 Crowd-Pleaser Gift Basket: Whether you’re sending to a lucky recipient or sharing in the conference room, this is one gift basket that’s sure to delight. Our Grey Goose Gift Basket is literally a party to go – featuring premium Grey Goose Vodka and an irresistible assortment of truffles, candy, cookies, cheese & crackers and other snacks, this is a festive basket ideal for celebratory occasions.